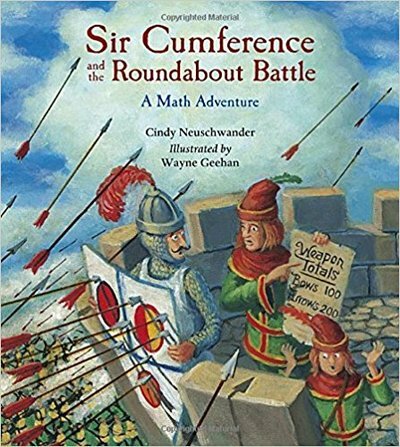 Cindy Neuschwander ​(California) has authored all 10 titles in the very well-established and much-loved Sir Cumference series (published by Charlesbridge). 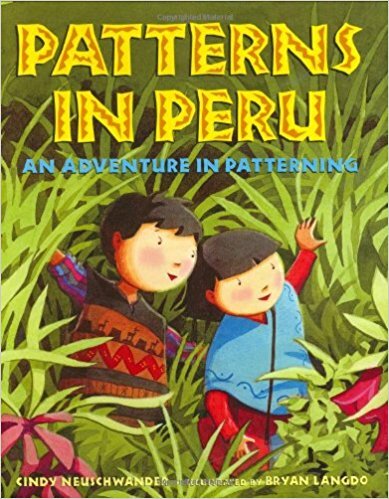 She is also the author of 3 other titles in a separate series (published by Henry Holt & Company), following mathematical adventures of Matt and Bibi ('Mummy Math: An Adventure in Geometry', 'Pastry School in Paris: An Adventure in Capacity' and 'Patterns in Peru: An Adventure in Patterning'). 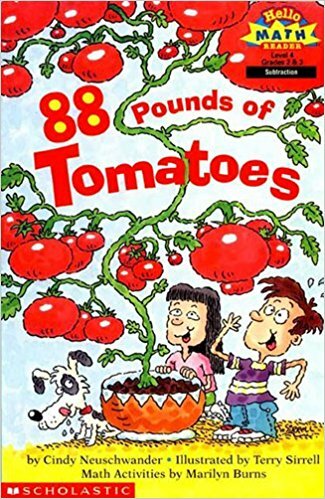 Additionally, Cindy also contributed to other mathematical series, namely ‘Amanda Bean's Amazing Dream’ (Marilyn Burns Brainy Day Books series) as well as '88 Pounds of Tomatoes' and 'The Chocolate Champs' (Hello Math Readers series) - all of which are published by Scholastic. To learn more about these stories, and find out where you can purchase them, simply click on their covers below. 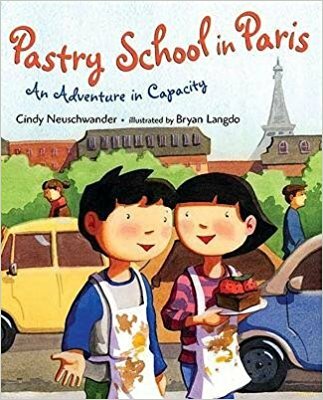 We hope you enjoy reading Cindy sharing her experience of working on these incredible mathematical story projects with you! I have not watched television (except the Olympic Games) since 1971 when I went away to college. I love to wash dishes by hand. I don’t own a dishwasher. I used to be a nationally ranked swimmer in the 200-meter butterfly. Thanks for those facts, Cindy! We understand that in addition to you being an internationally-recognised and universally-celebrated mathematical story author, you also work as an elementary (primary) school teacher! Can you say a few words about your role? How would you describe your relationship with mathematics and mathematics learning when you were younger? And now? ​​I loved 8th grade Algebra because I had an amazing teacher who explained everything so clearly. I was on an advanced math study track in high school but again, with mediocre to poor teachers, I lagged behind and dropped out of math after Algebra 2 and Trig. But when I became a teacher, I wanted to learn more about mathematics and it has become my favorite subject to teach. I would love to return to school and take more math classes but I worry that I will run into terrible teachers again. 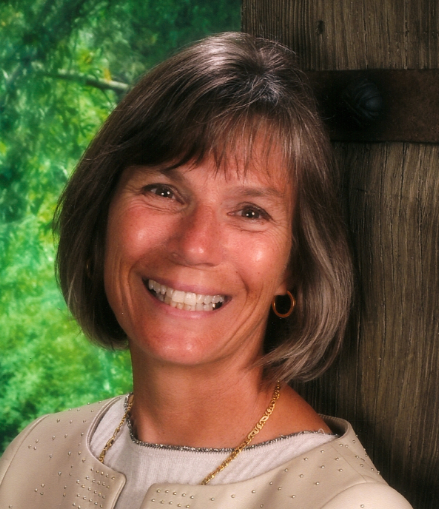 ​"One thing she mentioned was how effective stories were for teaching math. I was intrigued by this and I tried it with my second graders. They loved learning math with stories! That summer when I went home to the US for a visit, I tried to buy more of these kinds of books but there weren’t many so I decided to try writing some myself." What inspired you to write picturebooks with a mathematical focus for young children? Twenty-eight years ago I was teaching elementary school at the Frankfurt International School in Germany and one teacher I met there, Ellen Alquist, became my math mentor. She taught me many things about how to teach math well. One thing she mentioned was how effective stories were for teaching math. I was intrigued by this and I tried it with my second graders. They loved learning math with stories! That summer when I went home to the US for a visit, I tried to buy more of these kinds of books but there weren’t many so I decided to try writing some myself. Why do you prefer creating mathematical picturebooks with a storyline to, say, non-fiction mathematics concept books? What are some of the key stages that you go through in creating your mathematical picturebooks? I always begin with a mathematical idea or concept that interests me. Since I am an elementary school teacher, I have a very good idea what children are learning mathematically each year, and what interests and struggles they have. After I have my math topic, I imagine a story around it. During this time, I also do any research that will make my story more authentic. I usually imagine my story and characters for 3-4 months before I begin to write. ​I often write on mathematical topics, such as Pi, that have not been widely written about. Writing a 32-page picture book can take me anywhere from 6-12 months. (Since I work as a teacher, I am not a full-time writer) Illustrations are done after my text is complete and they take another year to do. Which of these stages do you find most challenging? Similarly, which do you find most satisfying? First drafts are hardest for me. Since I write picture books, word count is very important. Stories cannot be too long. So, getting an acceptable word count with an engaging story and all the math is a big challenge. Most satisfying is seeing the illustrations paired up with the text. Then the project really becomes a picture book. Some mathematical story authors prefer to have a context and setting as close to children’s real-world experience as much as possible. Others prefer fantasy. In the context of mathematical stories, what is your preference, and why? Do you find it hard to come up with a storyline / context to embed your chosen mathematical concept in? Where do you draw inspirations from? Plots can be difficult for me. That’s why the first draft is so hard. The Sir Cumference stories are full of word play and terrible puns so these help me to craft my plot. Across the sector, it is quite common for authors not to have any say in the illustration process at all. Many authors never even have any direct contacts with their book’s illustrators. What has been your experience on this? Would you prefer authors to be more involved in the illustration process? 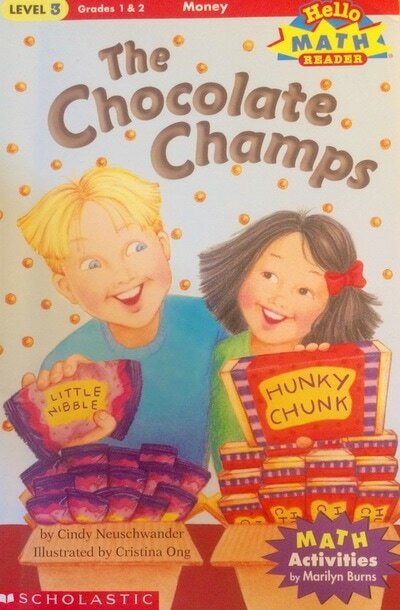 I think it is important for there to be distance between the author and illustrator. As an author, it is my job to make my text clear enough so that any illustrator can imagine and draw the pictures. Having said that, some of my illustrators are not mathematically oriented. So there are some pictures that I do make suggestions on so that the mathematics is pictorially clear. ​Every picture book author has illustrations in his or her head but I have found that my illustrators have far exceeded my mental images of those pictures with their final drawings in my books. 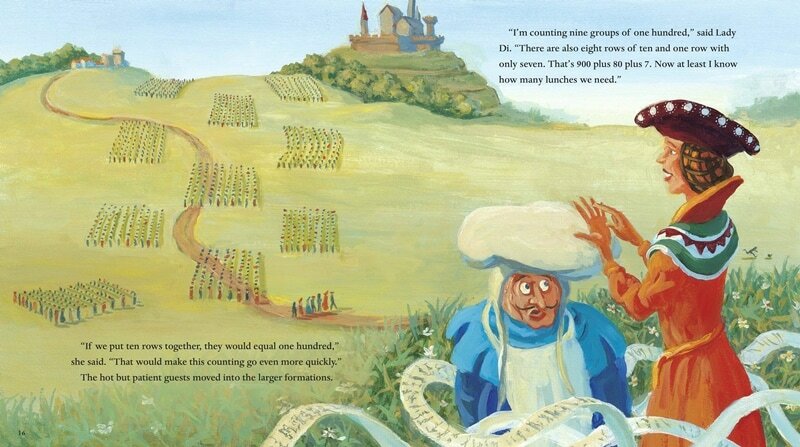 ​​On reflection of your maths picturebooks, how would you comment on the diversity of the books’ characters? Would you have done anything differently in terms of the diversity of the characters? There is great diversity in my work. 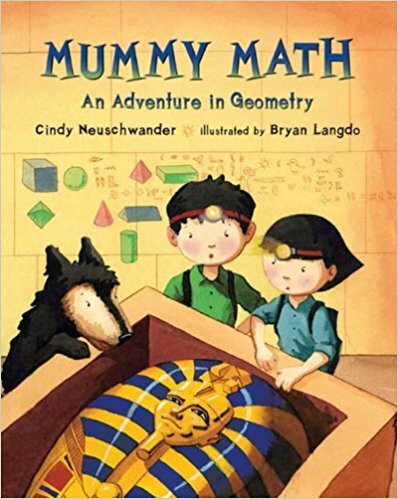 The Mummy Math series (Holt) features a boy/girl set of twins as well as parents who both hold PhDs. Because that series takes the characters around the world, Middle Eastern characters (Dr. Zagazig), South American characters (Professor Oswaldo Herrera), and European characters (twins Celine and Marie Coccinelle) are authentic representations of people around our globe. 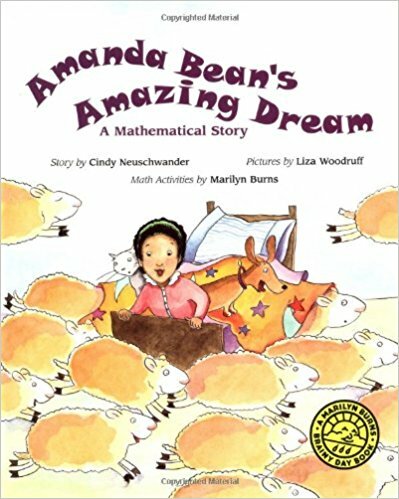 In 'Amanda Bean’s Amazing Dream', the main character, Amanda, is an African American girl. 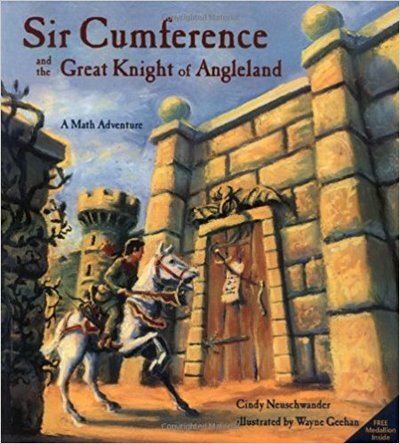 ​The Sir Cumference series, by nature of its time and place, requires medieval European characters but both male and female characters share the action and solve the math problems. ​​How do you know whether the language used in your stories is age-appropriate for your target children? EB White always urged writers to ‘write up’ to children. If there were words they did not understand, they would take the time and effort to find out their meanings. 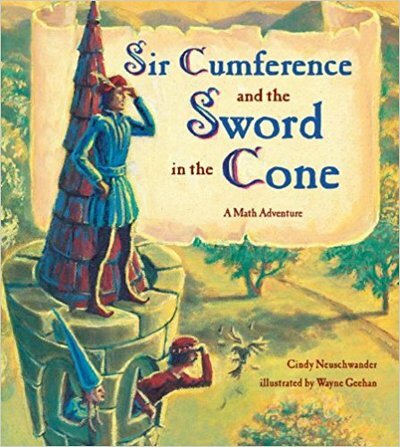 My Sir Cumference books use a lot of word play and can be understood and enjoyed by readers on many levels. I have also layered the mathematics in these books so that they can be used at many grade levels. (More on that will be discussed later in this interview.) Picture books should not be too lengthy. My books range from 1,000 words to about 1,400 words. ​​Do you think the use of storytelling in mathematics learning is only applicable to young children? Do you think this could be used in maths lessons in secondary schools too? This is an interesting question. 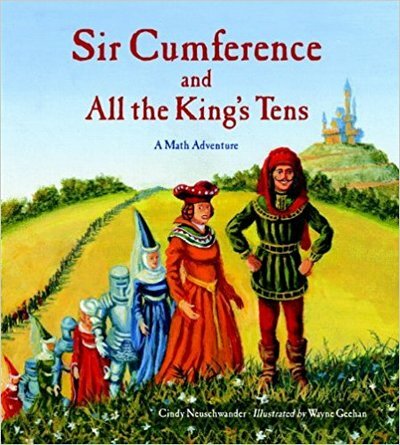 My Sir Cumference series layers many levels of mathematics into the stories. I have purposely put mathematical concepts and ideas into each adventure that allow readers to springboard up into higher levels of mathematics. ​When signing books for teachers at educational conferences, I ask educators what grade they teach. Suffice it to say, there have been a good number who respond, “I teach AP Calculus.” When I probe further, they admit, sometimes sheepishly, that even high school students like a good story read to them now and again. 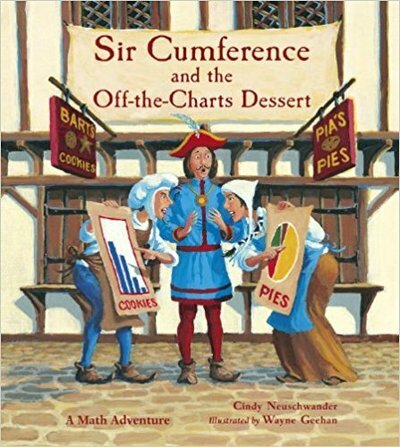 The Sir Cumference series has been used for adult vocational classes as well. So I think a good story can be for any audience. I encourage high school teachers to try one story and see if it makes a difference with their students. ​​What do you think are some of the key benefits of helping children to develop their mathematical understanding by encouraging them to read maths picturebooks? ​What do you think are some of the key benefits of helping children to develop their mathematical understanding by encouraging them to produce their own maths picturebooks? As a teacher, this is something I have done for many years with great success. Modeling and reproducing a math literature story book allows students to review math ideas learned, demonstrate understanding of what has been taught, extend mathematical thinking, and allow for review of that concept by the rereading of the student-made books. ​For teachers and parents who want to encourage their children to create their own maths picturebooks at school or at home, but are not sure how to guide them through the process, what would be your advice? Choose a mathematical story book that is of interest and appropriate for the mathematics to be learned. After having read it, guide your student in recreating the story with changes or extensions that the book might suggest. Open ended stories always encourage a student-generated version. In 'Sir Cumference and All the King’s Tens', the number of guests who arrive last for the King’s birthday is left unsaid. 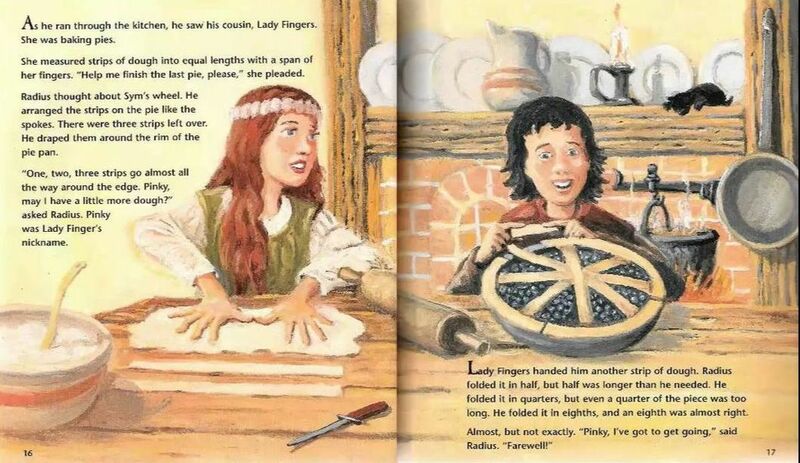 Students can put in the number they wish to consider in their retelling of this book. When the student-generated book is finished, it can be published in a blank book. (Treetop Publishing’s Bare Books is a great resource for these sorts of books.) Students can also create an original story on a mathematical topic that is of great interest to them. I have found with elementary school children that modeling a book they are familiar with is a very successful way for them to learn the math and write about it. ​For teachers and parents who want to have a go at having their own maths picturebook published by a publisher, what would be your advice? 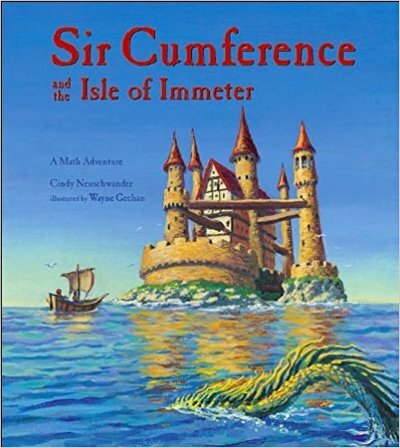 ​The latest addition to your Sir Cumference series (the 10th title) is called, 'Sir Cumference and the Fracton Faire​', and was released only a few months ago. Many congratulations, Cindy! Can your fans expect to read any more mathematical stories from you in the future? There is another completed Sir Cumference manuscript waiting for edits. I do love writing math stories and I have more ideas, some new characters, and some partially completed manuscripts on which I am working. What do you think of the research that we do and the resources that we provide to teachers and parents on our MathsThroughStories.org website? 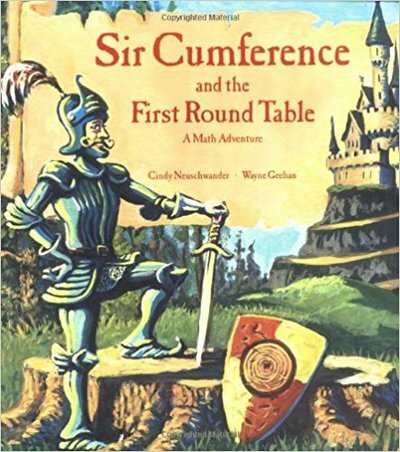 MathsThroughStories.org is, by far, the best website I have seen on math story books. As an educator, I love seeing the research and practitioner-oriented articles for teachers. Listing books by category is so helpful for teachers and parents so that they can get a clear idea of books they can use as they teach children mathematics. Thank you for this website and the rich resources it displays! 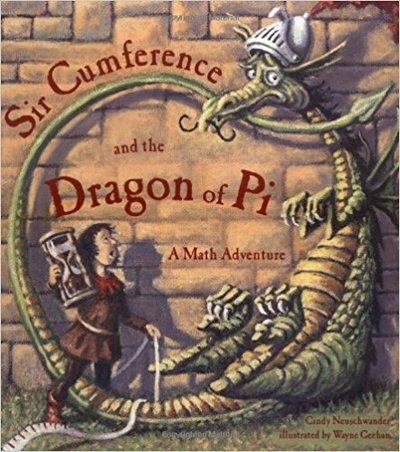 ​​Illustrations copyright © 1999 by Wayne Geehan from Sir Cumference and the Dragon of Pi by Cindy Neuschwander. Charlesbridge. All Rights Reserved. 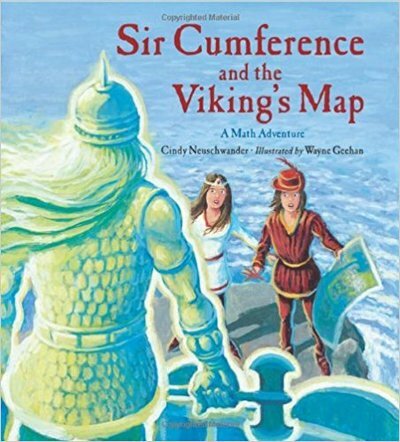 ​​Illustrations copyright © 2009 by Wayne Geehan from Sir Cumference and All the King's Tens by Cindy Neuschwander. Charlesbridge. All Rights Reserved. 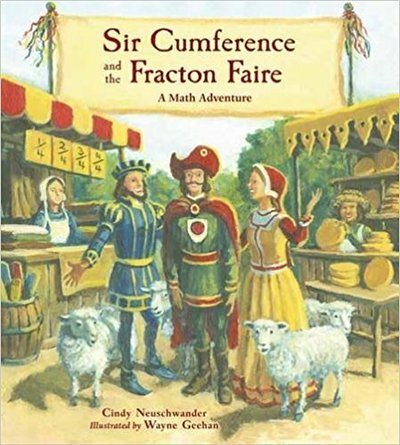 ​​Illustrations copyright © 2017 by Wayne Geehan from Sir Cumference and the Fracton Faire by Cindy Neuschwander. Charlesbridge. All Rights Reserved. Have comments about this interview or Cindy's books?